PYEONGCHANG, SOUTH KOREA - Natalie Geisenberger refuses to call herself the best women’s luge athlete ever. The history books may do it for her. 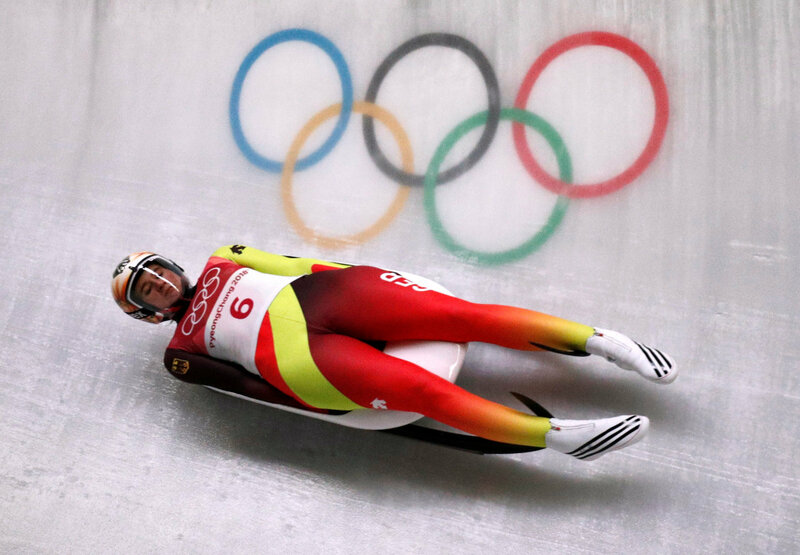 Germany has yet another Olympic gold medalist, after Geisenberger prevailed in the women’s luge final on Tuesday — her second consecutive title and one that added yet another page to her burgeoning resume of accomplishments. “The most of what you reach in sport is an Olympic gold medal,” Geisenberger said. And now, no luger has ever won more gold than Geisenberger. It’s the third gold in her collection, the two singles wins now paired with the team relay win from the Sochi Games. That ties her with Georg Hackl and Felix Loch — both fellow Germans, of course — for the most in Olympic history. She’ll go for a fourth gold later this week in the Pyeongchang team relay. “For me, it was the most big goal or dream — I would say dream — that I wanted to reach,” Geisenberger said. Geisenberger’s winning time for four runs at the Alpensia Sliding Center was 3 minutes, 5.232 seconds. German teammate Dajana Eitberger was second, nearly four-tenths of a second back. Alex Gough was third for Canada, giving that nation its long-awaited first Olympic luge medal. Gough jumped into the top three after Germany’s Tatjana Huefner had trouble in her final run, on a night where slips and spills were just about as newsworthy as Geisenberger’s dominance. Huefner settled for fourth, Canada’s Kimberley McRae was fifth and retiring American star Erin Hamlin was sixth in what was her final race. USA Luge picked Summer Britcher — the track record-holder in Pyeongchang — to do Thursday’s team relay. And that means Hamlin has competed internationally for the final time. The third American slider, Emily Sweeney, crashed in the final run. She remained on the ice for several minutes before eventually getting to her feet and slowly walking away. Sweeney avoided serious injury. “I’m OK,” she told The Associated Press as she left the finish area.